In the past 60 years, we’ve been to the moon, landed on Mars and have even sent probes far beyond the Solar System. But space exploration is no small step for man and behind every mission is a team of well-trained experts. To celebrate World Space Week we’ve put together a list of some jobs to do with space and how to get them. So read on to find out what kind of skills and qualifications you’ll need and how to get started in pursuing your dream career. We do hope you’ll be over the Moon with our list of jobs! The most obvious job to do with space that springs to mind, the word astronaut comes from the Greek words for space sailor. So if you fancy setting sail into the galaxy, this could be the job for you. However, it’s important to bring you back down to Earth and say that the majority of an astronaut’s career is spent on firm ground, training, preparing and supporting other astronauts on missions. Of the thousands of young people who dream of becoming an astronaut, only a handful will make it to the top job, but that doesn’t mean that you should lose heart as there are plenty of other exciting jobs in space that you can do, even if you don’t make it to Mars. For example, the European Space Agency (ESA) offers a Young Graduate Trainee programme for graduates who want a career in space – this is aimed at engineers, physicists, biologists, lawyers, medical and business graduates. The posts go online once a year in mid-November and stay open for a month. It takes years of studying and training to become an astronaut, and most begin when they’re aged between 27 and 37. To work for the US space agency Nasa, you’ll need to have at least a degree in engineering, biological science, physical science or maths – ideally an advanced degree too. You’ll also need to have clocked up at least 1,000 hours piloting a jet aircraft, so many astronauts come from a military background. For example, British astronaut Tim Peake, who has been assigned to join the International Space Station, was a test pilot and a British Army Air Corps Officer. You’ll also need to be in excellent shape (you’ll have to do a physical test). Have a look at the ESA website to find out more about how to become an astronaut. A spacesuit designer is usually a highly trained engineer with a speciality in mechanical engineering and, of course, an interest in space. Spacesuit designers take into consideration the requirements of each specific mission and design their suits accordingly. Most importantly, they’ve got to make sure the astronauts are kept alive and comfortable. One example is the special fabric used to soak up the sweat of astronauts during long spacewalks. Well, no one said it was glamorous. So, you’ve definitely heard of an astronaut but did you know that’s only one part of their job description? A payload specialist is an astronaut who is in charge of the scientific experiments aboard a space mission. As trained scientists in varying fields, payload specialists make sure experiments are conducted safely and correctly in order to get accurate results. They spend their time observing experiments, recording data, and liaising with scientists back on earth. Some examples of the experiments they’ve conducted include 3D printing in zero gravity and exposing yeast to space radiation. Ok, this one isn’t exactly what it sounds like. Space lawyers aren’t really lawyers in space. Instead, they take care of all the legal stuff from down on the ground. With the future of space tourism on the horizon, they are now tasked with writing laws to protect both passengers and companies in the unpredictable world of outer space. Can you imagine your chemistry teacher floating around in zero gravity? Well, that’s what NASA calls an educator astronaut. These are teachers and other education professionals that have been trained to fly into space like any other astronaut. Tasked with teaching classrooms from space, the aim of these unique astronauts is to get kids passionate about careers in science, technology, engineering and mathematics. Most importantly, they are meant to inspire the next generation of space explorers all the way from Earth's orbit! Travelling into space is no mean feat. It has a huge impact on an astronaut’s body and is fraught with challenges like low gravity and radiation exposure. Space medicine looks at the biological, physiological and psychological effects of space flight on humans and how gravity (or lack of it) affects us. Doctors and medical researchers work very hard to make sure that astronauts are kept safe and healthy during their long trips into space. They also do valuable research which can actually be used to improve the health of us earthlings on firm ground too. There are a few universities in the UK which specialise in space medicine. For example, University College London (UCL) has a Centre for Space Medicine and Kings College London offers an MSc in space physiology and health. 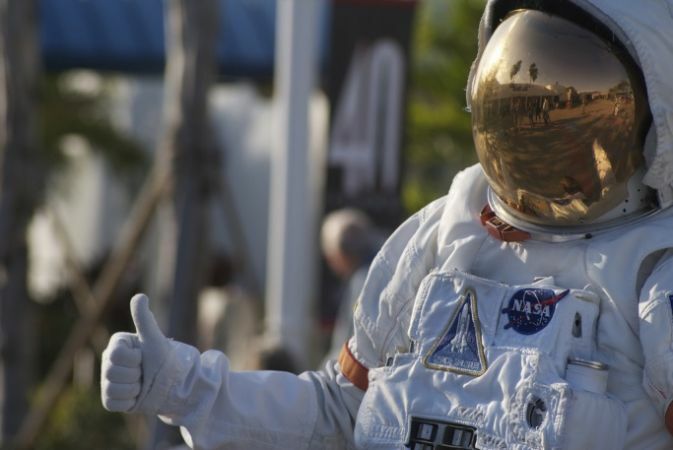 Feeling inspired by these jobs to do with space? Kick start your career by checking out this list of space-related graduate placements and internships. Also have a look at the National Space Academy, which has details of courses and higher apprenticeships that you can do in space engineering. It’s also worth a visit to the National Space Centre if you haven’t been already.